How do you decide what to read? For nerds, academic journals provide page after page of book reviews. I love to read and write these sorts of academic reviews. But are they really worth the time? Right now, for instance, I’m reviewing four books for a variety of journals. For History of Education Quarterly, I’m writing a review of Andrew Hartman’s War for the Soul of America (University of Chicago Press, 2015). For the journal Church History and Religious Culture, I’m reviewing Christopher Rios’s After the Monkey Trial (Fordham University Press, 2014). 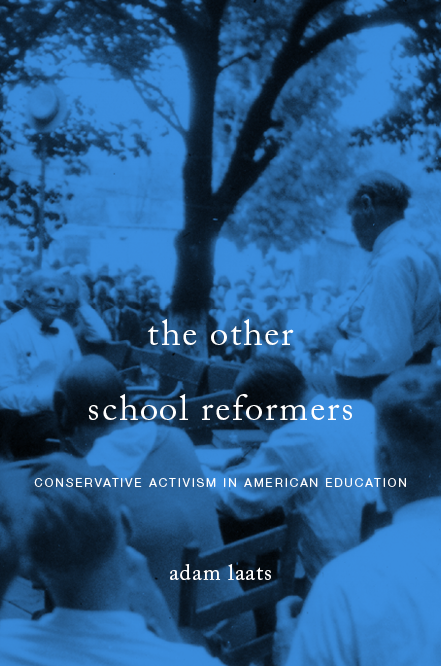 For Teachers College Record, I’m working on a review of Roger Geiger’s new book The History of American Higher Education (Princeton University Press, 2014). Last but not least, I just agreed to write a review of Bradley J. Gundlach’s Process and Providence: The Evolution Question at Princeton, 1845-1929 (Eerdman’s, 2013), for History: Reviews of New Books. For those outside of the academic realm, here’s how the process works: Publishers send out review copies to a variety of journals and magazines. Book review editors hunt down an appropriate reviewer, usually through word of mouth and academic reputation. If the first person they ask can’t or won’t write a review, the editor asks for suggestions of other possible reviewers. I love to write reviews for academic journals. In each case, putting together a coherent review forces me to do more than simply absorb a book’s argument. It forces me to take a sharper look at the sources, the implications, and the book’s strengths and weaknesses. In all of the reviews I’m currently writing, I had planned to read each book already. Writing the review simply forbids me to read any of them lazily. But beyond the benefits for the writer, do these reviews matter? After all, very few people read academic journals. These days, the long peer-review process means that reviews in academic journals sometimes come out long after the books are published. We might be tempted to conclude that these kinds of academic book reviews are merely an exercise in higher-education navel gazing. I think there’s more to it than that. After all, these reviews are not intended solely for individual readers or book buyers. This is not just a “rotten-tomatoes” kind of review, in which readers might check out what has been said before choosing one book over another. This is not simply “like”-ing something on Facebook or scrawling out an angry smear job on Amazon. Those things may boost or crush sales and reach, but they don’t provide readers with careful descriptions of a book’s structure. Book reviews in academic journals are different. The audience for these book reviews is mostly university types, the professors who are choosing books to use with their classes and their students. No one has time to read every book that comes out, but these short reviews allow academics to remain broadly aware of new trends in their fields. A “good” review in this context does not mean glowing praise, but rather careful description of the book’s argument and significance. A professor can choose which books to use in his or her classes. Professors can also recommend certain titles to graduate students for further study. Some things that are old fashioned deserve to wither away. Cassette tapes, large lecture hall classes, and phones with cords come to mind. This tradition of slow and careful review, on the other hand, may have its roots in a very different technological time. Nevertheless, it remains a vital part of academic life. The Social Sciences Need More Conservatives!